This planner has been designed for use within the community (day centres, respite care), within people’s homes and within residential aged care. 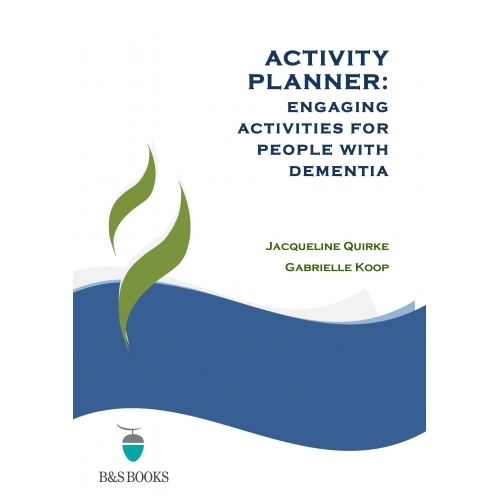 The activity plans included in Activity Planner: Engaging Activities for People for Dementia have been specifically developed to meet the needs of participants across the stages of dementia. 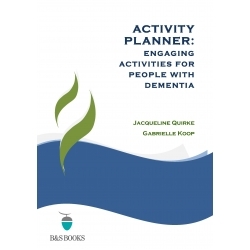 Each activity plan indicates which stage the plan has been designed for: Level 1 activities are suitable for people with mild dementia; Level 2 activities are for people with moderate dementia; and Level 3 activities are designed for people with advanced dementia. The activities included meet the areas of cognitive, creative, occupational, physical, sensory, social, spiritual and cultural needs of participants. Each activity plan includes details on the goals, approximate duration, equipment and resources required, preparations, the activity plan and facilitation tips.